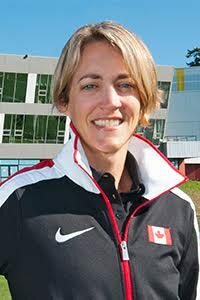 The Canadian Sport Institute Pacific held the first of two Athlete Advance conferences on Saturday, February 11, at their Victoria campus at Pacific Institute for Sport Excellence (PISE). The Athlete Advance is designed to help educate and inspire British Columbia’s future and current Olympic, Paralympic, and World Championship athletes in their quest for podium performances. Athletes attended a full day of interactive workshops and seminars presented by leading experts in their respective fields. The event began with a keynote presentation by Swimmer and multiple Olympic medallist Ryan Cochrane. Sessions included topics such as Strength and Conditioning; Mental Performance; and Sponsorship. Registration is now open for CSI Pacific’s Vancouver edition of the Athlete Advance, being held at the Robert H. Lee Alumni Centre at the University of British Columbia’s Point Grey campus on Saturday, March 18.